Deck your pup's collar with cheer with a fun Lobster Claw Bell Collar Charm! We love the pleasant sound these little bells make! The Lobster Claw Bell Charm in Light Pink is a perfect addition to your dog or cat's collar any time of the year! 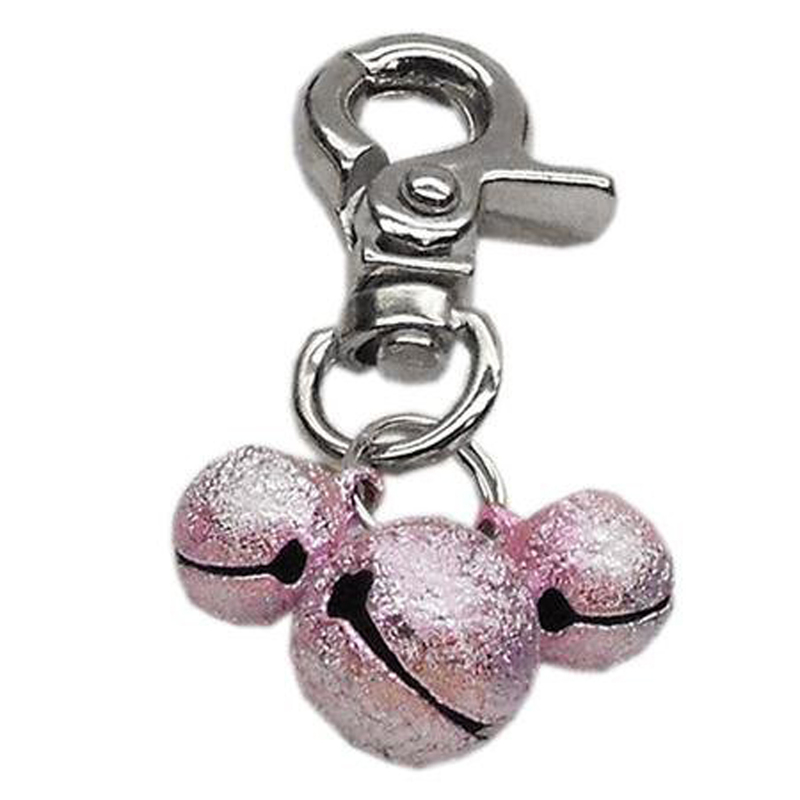 A cluster of 3 bells, this charm is attached to a durable lobster claw and helps keep your pet safe as well as fashionable. Posted On 03/14/17 by Brenda V from Thomasville , GA Yes, Brenda V recommends this product! These Bell Charms allow me to keep up with my little Pomchi. Posted On 08/07/16 by sherry m from , Yes, sherry m recommends this product! Posted On 06/16/16 by Jane D from El Cajon, CA Yes, Jane D recommends this product! Great bling addition to many of Evie's outfits. Posted On 04/01/16 by Tyra S from San Antonio. , TX Yes, Tyra S recommends this product! I have lots of these on all her collars. They are great. Posted On 03/26/16 by Lynn W from Lincoln City, OR Yes, Lynn W recommends this product! Posted On 07/23/15 by Mary W from Port Orchard, WA Yes, Mary W recommends this product! It is really adorable, I wanted it to go on my little dogs collar when she gets a little bigger. Of course I had to have the pretty one for my little girl.